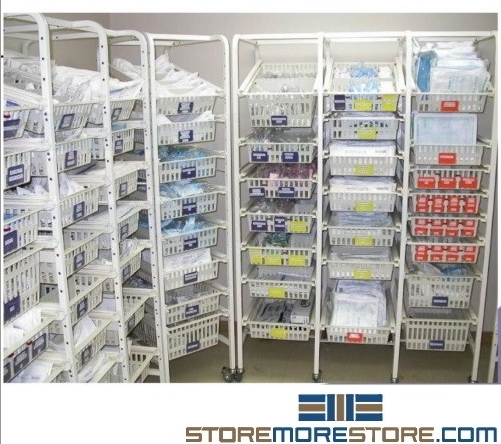 Basket drawer racks are a great storage and organization solution for a variety of applications from healthcare to industrial. Including a variety of features, the bin shelving system has many advantages over standard wire shelving and plastic bins. Storing small parts or other supplies can quickly become a cumbersome and disorganized endeavor that takes up much more of your time than you have. Hence your staff members waste valuable time searching for what they need, leaving them frustrated and prone to error. Additionally, this disorganization leads to a massive waste of space and makes it harder for users to access stored supplies. Used in warehouses and hospitals alike, the basket drawer racks simplify bin storage. With pull-out bin drawers, users can adjust the durable plastic partitions to the exact size needed so you don’t even need to purchase separate bins. Furthermore, the baskets are machine-washable and easy to clean, making them great for storing electronics and healthcare supplies. Also, you can count on the system to store your supplies for the long term. Because of polycarbonate and ABS plastic construction, each basket is durable and rated to support 88 lbs. 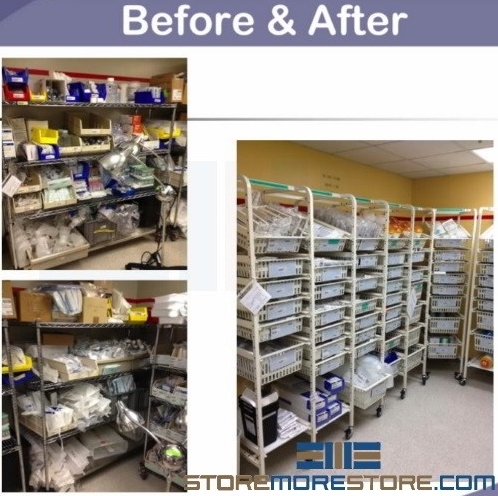 Simply place the partitions where you need them and adjust as needed on 2″ increments. Because of this, the basket racks great for storing cables, fittings, and medical supplies with two-bin Kanban storage methods. Lastly, the basket drawer racks save space. Designed to save floor space, the specially-sized baskets ensure that no air space is wasted between, and baskets can be adjusted for flat or tilted storage. With a superior dividing and labeling system, the basket racks can provide 60% more storage capacity compared to standard wire shelving. Each basket rated to support 88 lbs. Basket drawer racks are available to buy online for your bin storage needs. For more information or if you need assistance, call us toll free at 1-855-786-766.